Obsession is putting this lightly if I must confess. I am not totally sure where I got this, I typically have an idea of who or why I came to love certain dishes. I vaguely recall visiting Noah’s Bagels more often when I had first met my bestest friend, Elon. But she is definitely not a bagels and lox lover. It could be that I just knew what was up and as she got her bagel and cream cheese, I always ordered bagels and lox, always. We used to meet for coffee in the mornings often, as we are both self employed. Many times we would get our bagels, and then go sit at coffee. I miss that, I miss her. I moved three years ago to Portland, she is still in Sacramento. Although in the last few years our habits changed, and we no longer got our bagels, I am reminded how much I loved those days when we would walk into Noah’s and they always knew our order. But things change, we grow, we move, we change. This is not so much a recipe but rather a sharing of something I love. There is a method and measurement to all things in general. It is a combination of the right amount of certain ingredients. 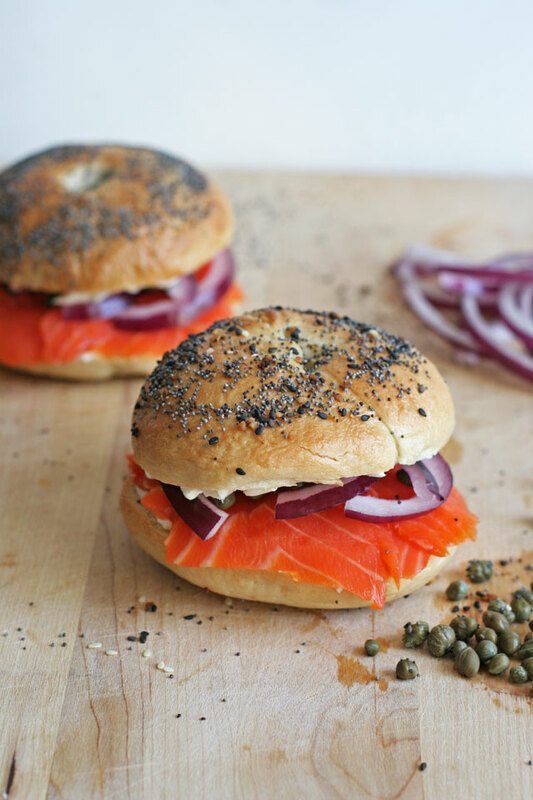 A balance of red onion to capers, and lox to cream cheese. I suppose that is a recipe. It is a simple thing, but I take it seriously. Simple yet perfect. 1. Slice the bagel in half. Spread each half with cream cheese. 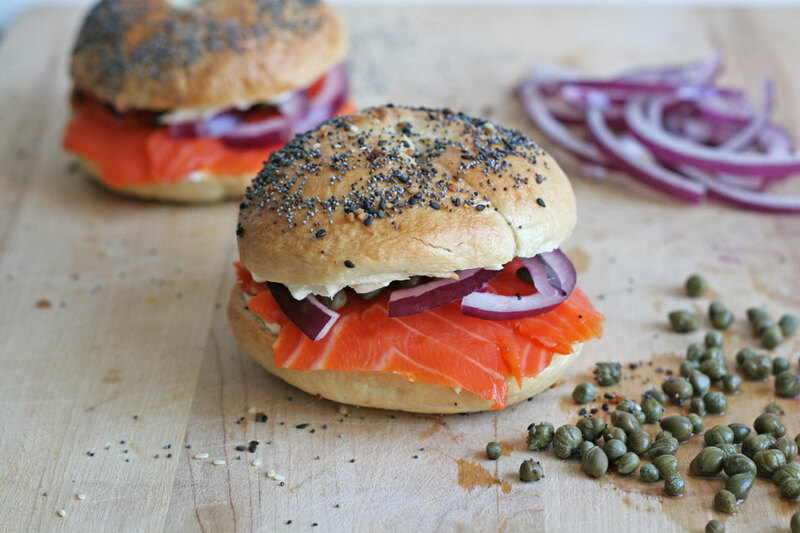 Spinkle capers on the bottom half of the bagel. Layer the lox on top of the capers. Then add the sliced red onion. Top with the other half of the bagel. Enjoy. Note: You could toast the bagel sliced prior to putting it together, but I am not sure on this, it may sacrilegious. Don’t quote me on that! How do you like you bagel?